TURN YOUR HOT TUB INTO A SALTWATER SPA. 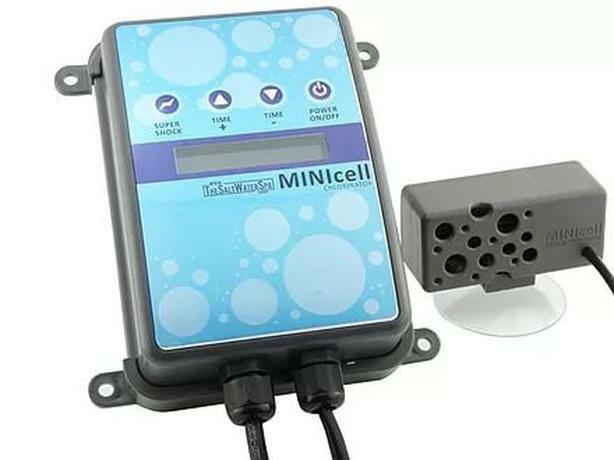 THE MINI CELL DOES NOT REQUIRE ANY PLUMBING..ANY HOT TUB CAN BE CONVERTED TO A SOFT/SALT WATER SPA. WILL VIRTUALLY MAKE YOUR HOT TUB "MAINTENANCE FREE"
WATCH THE VIDEO ON THE WEBSITE BELOW.